One of my areas of expertise, believe it or not, is setting up WordPress websites. I learned how to do it as a way of making extra income, in between voice-over gigs. Yes, Virginia, it’s a good idea to have a side business if you want to be a voice actor. Voice acting success, is not only a matter of focus, persistence, and talent, it’s also a matter of luck. You can be the most talented actor in the world and not be in the right place at the right time. This is just a reality. You can add to your luck by having a decent website to promote your voice-over business. It’s not enough to have profiles on social media sites. This includes voice-over audition sites. You need a website that’s your own personal piece of real estate on the Internet. Social media sites come and go so never depend on them alone. If you’re able to purchase a domain name (the address (URL) of your website) with your own name that’s the BEST. There was no other Rebecca Forstadt that I know of, so I was lucky. If your name is Mary Smith, you may have a problem. In that case, you need to find a name that will brand you as a voice actor. Try MarySmithdoesvoiceovers.com or something similar. The point is to develop celebrity or at least stand out as an actor, so it’s best to brand yourself as YOU if you can. If you have the words voiceover, voice actor, or even just voice in your domain name and definitely throughout your site, Google will be sure to index you with those keywords. The reason I prefer WordPress to an HTML site is that it’s an EASY platform for most people to use. (I’m not a spring chicken and I figured out how to use so you can too.) There are thousands of plugins (add-ons) available to make your site more interactive and functional. It’s easy to make changes or updates without having to know how to code. WordPress was designed as a blogging platform, which means you can write articles like this post. You can also just use it as a website if you prefer not to write. However, each time you publish a post you’ll get more traffic. You can also embed audios, videos, slideshows, and upload and link a pdf. Most people who market a business use WordPress. (Oh, yes, if you’re an actor, you’re also a marketer) It’s very inexpensive if you set it up yourself. (We’re talking under $100 per year for hosting) WordPress itself is free, but you want to have your website self-hosted. DO NOT use a free hosting platform like Blogger (owned by Google) or WordPress.com. There are 2 types of WordPress platforms: WordPress.com and WordPress.org. It’s better to use the self-hosted version which is WordPress.org That way you have complete control over your content and files and have WAY MORE options for your website. What you need to do is purchase a hosting account and then you can install WordPress in your account with the one-click install program they provide. Remember I said I’m not a spring chicken and if I was able to do you can too. I like to buy my domain names from GoDaddy.com but I don’t use them for hosting. I use Bluehost because they have a very easy interface, don’t constantly try to upsell you stuff, and their customer service is awesome! I’d love it if you use my Bluehost link because I will receive a small affiliate commission if you do. That’s another great thing about having a website. You can monetize your site by adding affiliate links and make commissions when someone clicks on your links and purchase something. Bluehost will give you 1 domain name for free and you can have unlimited websites and email addresses if you purchase their Pro Plan. I’ve always had excellent customer service when I call in and it’s US-based. I recommend them because I use Bluehost for all my websites and I have quite a few of my own as well as for most of my blog clients. For complete step by step instructions on how to set up your site using Bluehost click here or the image below. 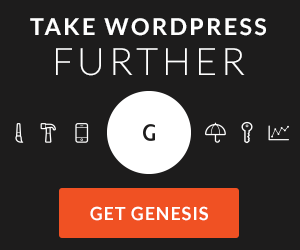 The WordPress themes I personally prefer are on StudioPress. They’re very well coded, functional, beautiful, and I especially love that they’re always kept updated. Themes and WordPress get updated often for security and other reasons. Some themes are easier to update than others. StudioPress gives you auto updates that you can click on your site, and you almost never have a glitch. You can check out some of my favorite blogging resources here. Another very popular theme these days is DIVI, by Elegant Themes. The DIVI builder allows you to place items (like videos) where ever you want to on your site using drag and drop modules. It takes a little getting used to but once you do it’s easy. Once you’ve installed WordPress and have chosen your theme, there may be a little configuration involved to get it to look like the way you want it. I’d suggest using a simple theme at first just to get used to using WordPress. After you know what you’re doing, you can always change the theme without losing any of your content. It’s sort of like trying on a new dress. For voice actors, you’ll probably want to add a video and certainly some audio files. If you embed YouTube or Vimeo videos on your site it takes less bandwidth than hosting on your own site. All you do is place the video share URL in your post or page. Click update and the video suddenly appears. If you add your video or audio URL it will automatically coms up in your WordPress editor. Or you can use a plugin to get a certain look for your audio file. I host my audio and podcast files on Libsyn. I hope this helps a bit. Feel free to leave a comment if you have any questions. I’d love to hear what you think. Thank you for this very insightful article!!! I have someone hosting my website but he’s becoming a pain and I’d like to take care of my marketing myself. Your blog gave me hope that I (who is not a spring chicken either) can build my own site. You’re a doll, thanks a ton, it was SO helpful. Thanks Lauren, I’m glad you liked it. I never recommend having your hosting on your webmaster’s or anyone else’s server because of the fact that they can be a pain. It’s always better to have your own hosting server instead. Good luck with your site. Thanks I’m glad you enjoyed it Bill. Thanks for the great article, Rebecca. I had used WordPress years ago for blogging, but it was not robust enough for creating business sites. I see this has changed with the gaiety if options and community and hosting support. Thanks, Michael. WordPress has changed quite a bit over the years and is a great platform for business owners because it’s user-friendly. It’s also constantly updated for new technology like mobile responsiveness, etc. That can be a problem with HTML sites, especially if the designer is long gone.